Full high definition recording day and night! Unbeatable reliability and easy to use! As technology advances, equipment that was once unaffordable, is now less expensive than you think! Unfortunately, as population densities increase, so does crime and other social issues. Security for the domestic market is a must and is even more important for families that have young children. ARE YOU A PARENT, BUSINESS OWNER, OR GREY NOMAD? 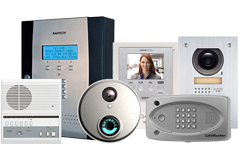 Our security systems offer 100% piece of mind. Business owners: Protecting your employees, stock, and premises is vitally important. Looking back at my installations we have covered every industry. These include accommodation, manufacturing, distribution, retail outlets, medical practitioners, childcare and fast food, to mention a few! When comparing the overall investment cost to the potential losses and risk, the ROI becomes insignificant. 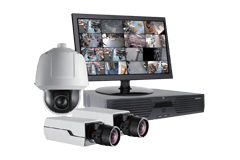 Working together with a network of QLD security suppliers we can offer CCTV, alarms & intercoms systems at competitive prices. Please complete the form if you would like an obligation free quote. We will come to you to make a local assessment of what you want to protect. 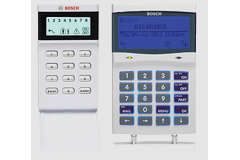 After meeting with you, and discussing your requirements, we will create the most reliable system for your needs. We will then undertake the installation with minimal disruption whilst keeping it as aesthetically pleasing as possible. Finally, we will train you on how to operate the system and provide you all equipment manuals. Great communication before and after install. Great service overall. Nice to get that feeling that a provider cared about what they do and how they do it. Work was done promptly and efficiently. Very obliging, couldn't be more helpful. Very pleased with work and product. Price was fantastic too. 100% happy with every aspect of their service. Products exceeded our expectations and I was impressed with the customer service. Would highly recommend! !